On Sat. Dec. 8, after the Lisbon Ol’ Fashioned Christmas Horse Parade, McDonogh School senior Jacob Pope and Maryland National Capital Park Police Officer Megan Lau will be presented with Touch of Class awards by Maryland Secretary of Agriculture Buddy Hance. 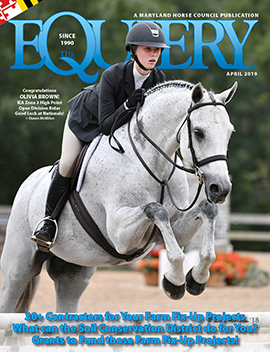 The Touch of Class Award is presented every month by the Maryland Horse Industry Board to honor a Maryland horse, individual, team, organization or event that has garnered national or international recognition. The award is named after “Touch of Class,” the Maryland-bred mare who won two Olympic Gold Medals in Show Jumping in 1984. Jacob Pope, who lives in Columbia (Howard County) will receive the November award in recognition of earning the ASPCA Maclay National Championship in equitation at the National Horse Show in Kentucky. The December Award will be presented to Officer Megan Lau, who was the overall winner in the National Mounted Police Equitation Championship at the North American Police Equestrian Championships. She will ride in the parade with the Capital Police unit, a color guard. Officer Lau lives in Dickerson (Montgomery County). The Equiery is pleased to be a sponsor of the 2012 Lisbon Horse Parade, which benefits the Howard County and Carroll County Food Banks and the Lisbon Fire Department Building Fund (which is the department that would save The Equiery building in the event of fire – so we want these folks to like us! They also pick up – literally – a lot of horse people who have unscheduled dismounts around here). Funds for the food bank and LVFD are raised through entry fees and sponsorships. MHIB is also a parade sponsor. 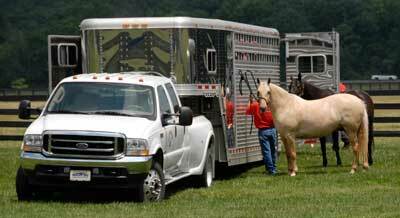 A team of Percherons, owned and driven by Dr. Mike Odian from Taneytown, will pull a carriage carrying MDA officials and MHIB members. MHIB will provide cookies, hot chocolate, and hot cider to participants in its tent in the trailer area after the parade. *The reason some GPS services do not recognize Lisbon 21765 is a long and involved story that dates back over 100 years when postal routes where a hot commodity to own. The Woodbine post office won the right to provide rural delivery service to the entire area, leaving the Lisbon post office without a route. To this day, the Lisbon Post Office does not deliver mail. Many GPS services use postal delivery zip codes for mapping purposes, and since Lisbon 21765 does not have delivery, it can be a problem! And has been a problem long before GPS mapping services, as this is just the latest in a long running battle between shipping services and the USPS. Fun fact: when The Equiery opened its office in Lisbon, the Lisbon Post Office was “GENERAL DELIVERY” only! NextHoward County delegation to debate permitting Sunday hunting on private land.